Morgane Stapleton and Chris Stapleton performed “You Are My Sunshine” on last night’s “The Tonight Show Starring Jimmy Fallon.” ICYMI, you can check out their performance now! The Stapleton’s rendition of the classic song appears on the acclaimed “Southern Family” compilation, which is out on Low Country Sound/Elektra Records and is available for purchase here. 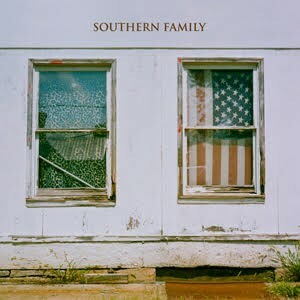 Produced and conceived by Grammy, CMA and ACM Award-winning producer Dave Cobb, “Southern Family“ is composed of twelve songs rooted in country, blues, folk and rock. In addition to Morgane and Chris Stapleton, the all-star album features recordings by Zac Brown, Brandy Clark, Brent Cobb, Anderson East, Jason Isbell, Shooter Jennings, Jamey Johnson, Miranda Lambert, Rich Robinson, John Paul White and Holly Williams. 11. Shooter Jennings “Can You Come Over”? Stapleton will embark on a series of Canadian tour dates next year, including stops in London, Ottawa, Winnipeg, Calgary, Edmonton and Vancouver. To find tour dates and more things Chris Stapleton, check out his website chrisstapleton.com and follow him on Facebook and Twitter.